The AFC Champions League reaches the semi-final stage on Tuesday and Wednesday with two pairs of enticing match-ups. In west Asia on Tuesday, inaugural winners Al Ain visit hosts Al Hilal seeking to reach the final for a third time. The east zone sees last year’s finalists FC Seoul entertain debutants Western Sydney Wanders with both sides determined to go through. There was a big fightback by some of the giants of African football on Wednesday, while there was also something of a shock result. 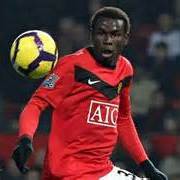 Senegalese striker, Mame Biram Diouf, 26, was today named Africa’s Player of the Month of August in the English Premier League. The Senegalese striker, who plays his football for Stoke City edged a fierce contest of votes to win the maiden award, organised by New African Soccer. The group claiming to have been elected into the Board of the Nigeria Football Federation, and headed by the 'President' Chris Giwa has been given till 8am European time on Monday 8 September to vacate the office or face an international ban. The first of the English Premier League African Player of the Month awards will be given for the month of August. And the organisers, New African Soccer, have released a shortlist of names for the potential awardees for the month, which gave us the opening three fixtures of the Premier League. Going by the ever-worsening security situation in the country, it will have come as no surprise to many that Libya has opted to withdraw from the hosting of the 2017 Africa Cup of Nations. 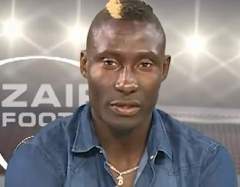 The sudden death of 24 year old Cameroonian player, Albert Ebosse, having been struck on the head by an object from the stands after a football match in Algeria has caused ripples down the global football world.